Come on down to the Alton Car Show off as Get-R-Smoked fires up the pits – Smoking up some of the best BBQ you have had using many Olive Oil Marketplace products. Alton’s 21ST ANNUAL All-Wheels Drive-In Car Show will be held on Sunday, June 11th. 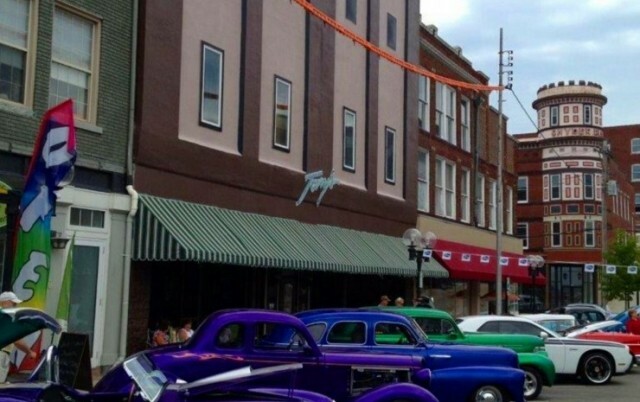 The event typically attracts between 150-200 classic cars, hot rods and motorcycles, which the public is welcome to browse on 3rd, State and Belle Streets. There is no charge for admission. Registration for automobiles is from 8am-Noon, and trophies will be given in thirty-seven classes plus five specialty awards at 4pm. The fee is $15 to enter the judging, or just $10 to display your wheels. Dash plaques & goodie bags are given to the first 125 participants. This is a qualifying show for the 2017 “Best of the Best” competition. Alton Main Street organizes this Alton tradition along with Time Machines Unlimited Car Club.